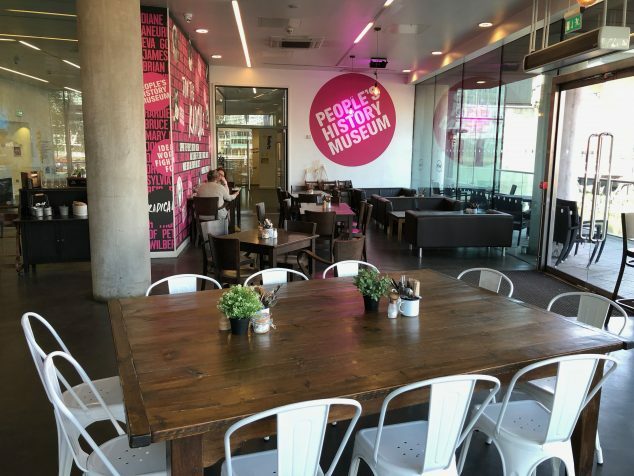 People's History Museum (PHM) in Manchester is the national museum of democracy, telling the story of its development in Britain: past, present, and future. The museum’s programme of events and exhibitions offers something to enjoy for visitors of all ages and abilities. See below for the best way to find us, or download a map and directions. 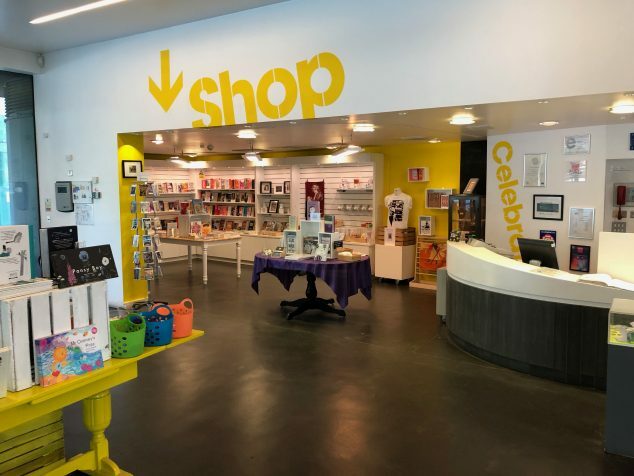 The museum is located on the corner of Left Bank and Bridge Street in the Spinningfields area of Manchester city centre, five minutes’ walk from Waterstones bookshop on Deansgate. Bike racks are located outside The Left Bank cafe bar entrance on Bridge Street. Visit Transport for Greater Manchester cycling pages for more information on cycling in Manchester. Visit Transport for Greater Manchester free bus page for more information. The museum is fully accessible wherever possible. To help us best cater for your requirements, please contact the museum in advance of your visit on 0161 838 9190. Filled with ideas worth fighting for, the PHM shop has a wonderful range of radical books, toys, gifts and homeware that make great presents for kids and grown ups alike! For breakfast, lunch or if you're on the go, pop in and enjoy hand-crafted coffees, seasonal British cuisine or fine local ales on Manchester's sunniest riverside terrace. The Left Bank cafe bar is open Monday - Friday 8.00am – 5.00pm & Saturday - Sunday 10.00am – 5.00pm.